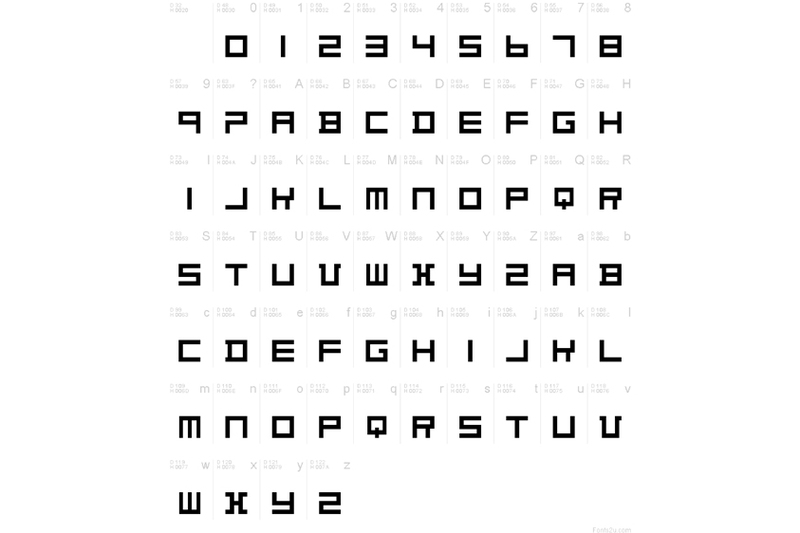 Typeface designed by Theo van Doesburg, cofounder of the 'De Stijl' movement in 1919. The face is constructed entirely of perpendicular evenly weighted strokes. Each character is based upon a square divided into a raster of 25 smaller squares.